Jeff’s instructional techniques are linked with the breath, infused with core-strengthening asanas, and are physically challenging for yogis and athletes of all levels. His beginner classes are taught with clear and specific instruction while weaving in the fundamentals of yogic breath. Jeff’s Yin Yoga class affords a break in your daily routine by letting you slow down, relax, and deeply stretch the connective tissues in your body to release stress and tension. Jeff’s Yoga-a-la-Agua classes will elevate your focus and confidence as you take your practice to the water on a stand-up paddleboard. Jeff believes the bliss and benefits of yoga are too important not to share. He enjoys watching his students develop, grow their practices, and work toward fulfilling their health and fitness goals. A graduate of the YogaWorks 200 hour RYT training, YogaWorks Kid’s Yoga, and Yogaqua 50 hour Certified Paddleboard Yoga teacher programs, Jeff’s background has roots that blend Ashtanga, Vinyasa, and Iyengar styles. Jeff currently instructs students at LA Fitness, Honda, Kilroy Fitness Center, other gyms and corporate clients, and SUPfit on water with Olympus Board Shop. He also offers private yoga sessions to the yogis that want to enhance and accelerate their practice or focus on specific modifications and needs. Jeff’s teaching purpose is to give the knowledge and advice that will provide the life-changing experiences that can contribute towards a student’s goals. "When you realized, everything in the creation is beyond your understanding, you have no choice but to just "be" & sing the glory! Devi grew up in Myanmar where she learned the traditional values of wellbeing in a meditative society with the profound cultures of east. She has always been actively involved in fitness training, gymnastics, dance and several athletic sports. She assisted her master teacher with Yoga, Aerobics and Tai Chi. Her studies carried over to India, where she acquired instruction under well-known gurus. She attained several disciplinary forms of meditation, classical yoga, and many divisions of health and fitness. Her passion continued to stretch further as she studies in the west, which includes yoga, pilates, personal training, kinesiology and physical therapy. By understanding both eastern and western aspects of lifestyle, she embraces a compassionate approach to everyone’s needs. Her personal training involves a very unique and effective approach towards working out and circuit training, emphasizing on the person’s mind/body principles. She offers hands on stretching for the ultimate experience in achieving flexibility and rehabbing injuries, which diminishes the limitations and takes clients to the next level with divine conditioning specially designed for each and every individual. She is also certified RYT and Principles of Ayurvedic Medicine. 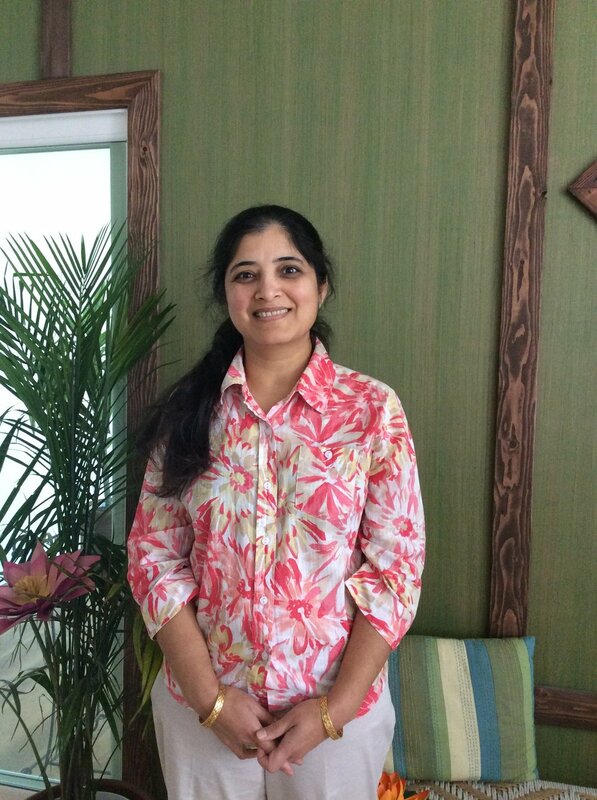 She currently studying Clinical Ayurvedic Medicine and serving at Yoga Remedy and at Radha Kunj. Dr. Sharma’s attributes her interest in meditation to her parents. Specifically her mother was instrumental in her learning Sudarshan Kriya in 2004. Currently, Dr. Sharma is an active volunteer and Happiness program teacher with the Art of Living Foundation. Prachee regularly contributes in organizing meditation seminars and Happiness programs. She has been organizing introductory meditation sessions and talks for several years in the South Bay as well as in Art of Living Center in Los Angeles. She is also affiliated with Yoga Remedy’s Essential Wellness yoga studio where she leads meditation sessions. Dr. Sharma is an accomplished researcher by profession. In her free time, Prachee loves to read and teach meditation. She is a mother of two and lives in Redondo Beach with her family. She is a certify Sri Sri Yoga Teacher. Kanna Kai Jones danced professionally on stages in Japan. Currently, she practices Butoh, somatic movement and moving meditation. Her goal is to guide people to an experience of the mind-body connection through movement and stillness. She completed the teacher training of the dance class for Parkinson's disease. In recent years, she has been teaching dance for people who suffer from Alzheimer, Parkinson disease, and stroke. Kanna is a certified RYT200, 85 Pre-natal and Art Flying Yoga instructor. She teaches Hatha, Vinyasa, Gentle, Yin and Restorative Yoga on a mat or in a hammock. She loves Flying Yoga because of the benefits for her arthritis. Flying yoga allows her to continue practicing yoga and gives her greater freedom of movement with no pressure on aching joints. Kanna has been regularly facilitating Arigato Zen/Vocal Meditation created by Dr. Soho Machida. She has recently started to perform Butoh on stages in Japan. She is also a Reiki Master, and a Dog swimming trainer. Ana is a trained cosmetologist from Hong Kong’s prestigious Monita Beauty Academy. She also lived in Honduras for almost 20 years and made a name for herself with her own beauty and fitness center. Her aerobics classes were always full and with people who were motivated by her strength and positive energy. She also got the opportunity to have her own morning fitness program in Tegucigalpa’s television network. Today, Ana is a California licensed aesthetician and electrolysis. In 2016, Ana became certified as an Art Flying Yoga Instructor. She enjoys learning this art form and sharing it with others. To walk the light is to be it. Yoga found Jeremy several years ago and became an important part of his life after moving to Korea. The stress of learning the language and the fast-paced lifestyle there led him to search for the inner peace that is Yoga. Upon leaving Korea, he and his wife moved to Bali where they did their Yoga teacher training together at Blooming Lotus Yoga. He finds great joy in helping others along the path that has taught him so much. Jeremy is also an active language learner and teacher - teaching Korean and English - and currently studying Spanish and Sanskrit. Language learning has been a wonderful form of mind Yoga for him and he sees intriguing parallels between our brain's use of language and our body's use of movement. He sees learning a new language as a way of creating new perspectives through which to see the world in order to see the world as it is.